The UK government is committed to building a fleet of new nuclear power stations to secure the future energy supplies for the UK. 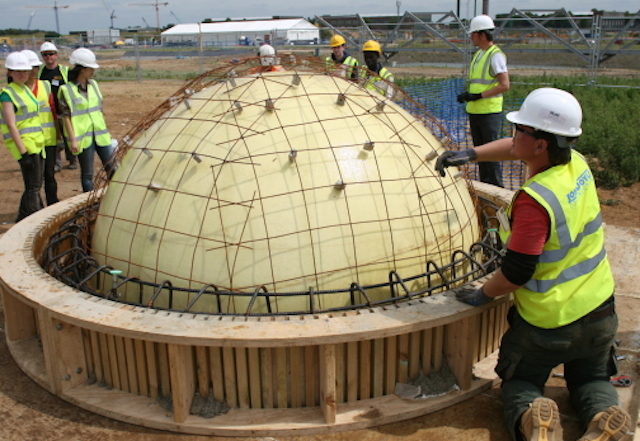 To deliver a nuclear reactor fleet that is safe requires well motivated highly skilled engineers to design and construction of these new power stations. 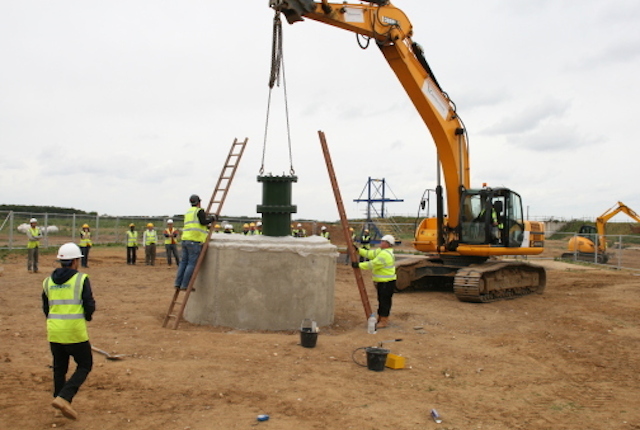 Building on our experience of developing the Constructionarium, Think Up has been working with the Cogent, the sector skills council for the nuclear industry, to design a series of hands on learning events to encourage well motivated engineers to take up the challenge of nuclear new-build. 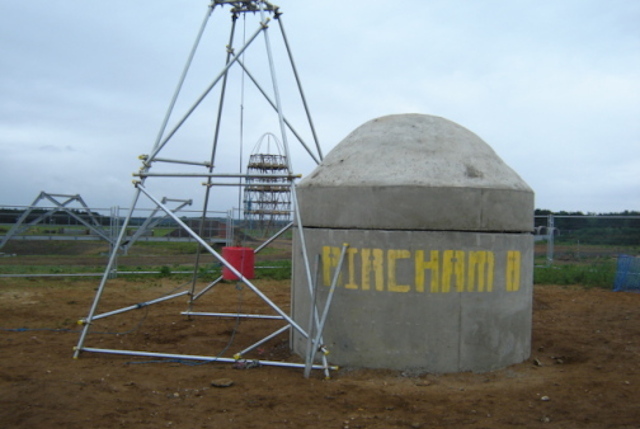 At the Nuclear Island Constructionarium event participants are given a week to build a mock-up of nuclear power station’s concrete containment building using real construction materials, equipment and processes. 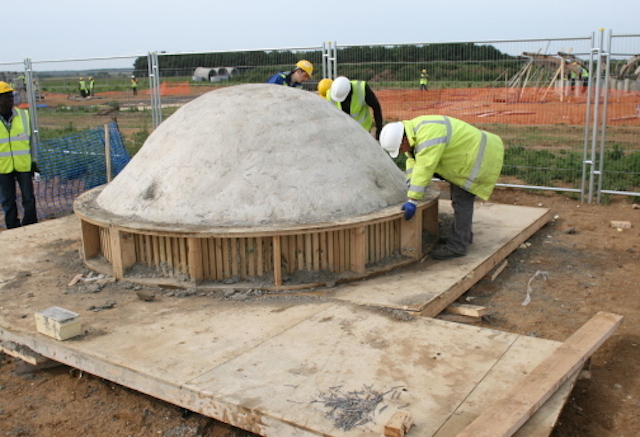 The pilot event was held at the Constructionarium in June 2011 in partnership with Imperial College and John Doyle Construction. 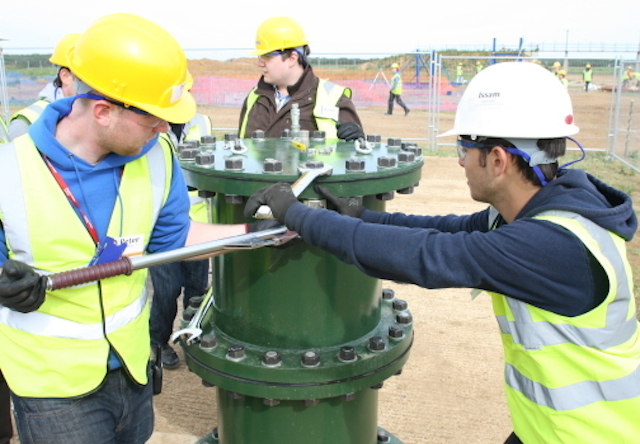 The combination of an exciting and realistic on-site experience with a series of more discursive contextual activities is designed to show students the nuclear industry is one in which they can play an important and challenging role at the same time as to provide them with practical knowledge and skills that they will need when working in the industry. A sense of purpose – An important ingredient in developing motivation is to provide a sense of purpose. To motivate students to make a nuclear career choice, it is important to show what positive societal impact they could make by joining the industry. A feeling of excitement – We aim to excite students by providing realistic challenges that they will overcome during the event so that the memory of these exciting experiences will positively influence their career decisions in future. The development of practical knowledge – Most civil engineering students lack practical on-site experience. The hands-on construction activities give students give students practical knowledge that will help make them better designers. The understanding of nuclear behaviours – An understanding of the safety culture that is at the heart of the nuclear industry is a pre-requisite to entry into the profession. Building nuclear behaviours into the course helps students develop this required understanding and reinforces the positive role that they can play in ensuring nuclear can be a safe source of power for society. 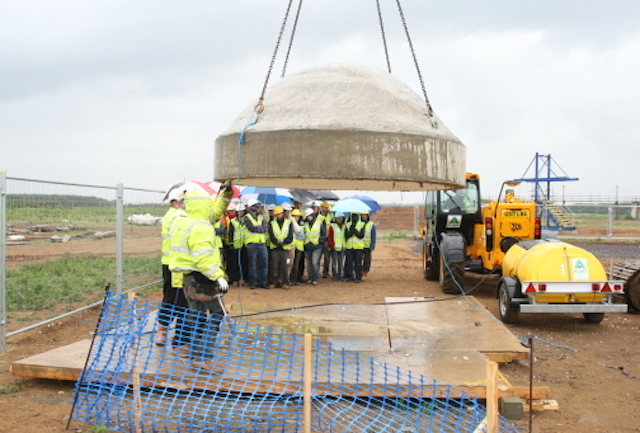 A concrete weight is swung into the final structure to simulate the effect of an impact on the structure.